Pasture Management Systems, Inc. now offers a wide range of wood posts for your permanent fencing needs. 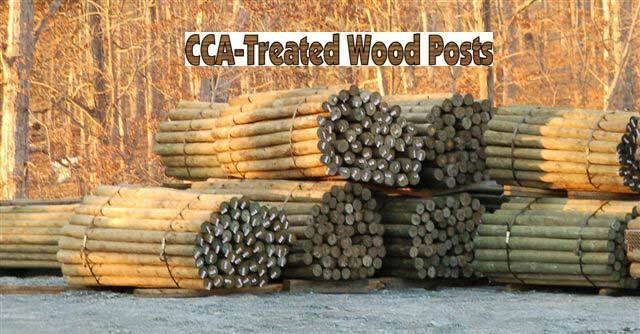 CCA-treated Wood posts. Treated to .40 CCA or .60 as required by DOT are both available. Lengths range from 6-1/2ft to 10ft long with a variety of diameters for each. We also stock 4 sizes of rough-cut dimensional posts 7ft-8ft long. And new to our lineup is ACQ .25 1x6x16 Treated Pine Lumber. Our prices are extremely competitive and delivery is available throughout the southeast. So, give our posts a try! You’ll be pleased with the quality and amazed by the price!